1. For the Founding of a School in St. Albans by Mr. Bourman. 1. The Bill for Exercising of two Handicrafts, and Weavers. 3. The Bill for Giving of Lands to the Finding of Schools. - Jud'm. L. 4. 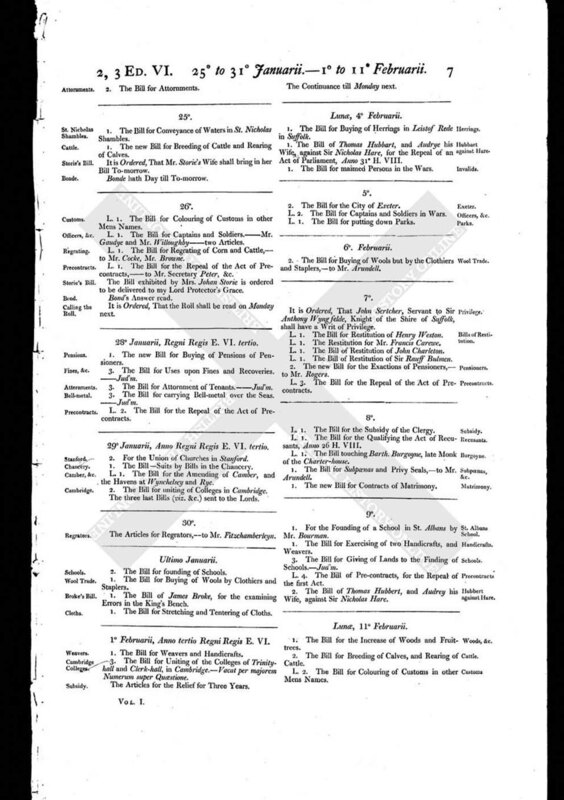 The Bill of Pre-contracts, for the Repeal of the first Act. 2. The Bill of Thomas Hubbert, and Audrey his Wife, against Sir Nicholas Hare.